Seasonal fusion cuisine in a lively environment. 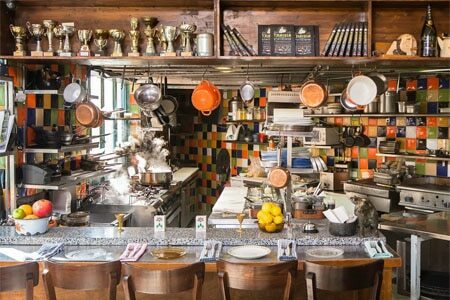 : Helmed by chefs Yosef Elad, Assaf Granite and Uri Navon, Machneyuda offers fusion cuisine in a lively environment with music and an interactive staff. Starters include sashimi, pan-fried calamari and shrimp with white wine, garlic and "all kinds of stuff." Lamb osso buco, filet mignon and seafood risotto are among the main courses, while the dessert menu features cheesecake, tiramisu and Bavarian cream with toffee and candied almonds.